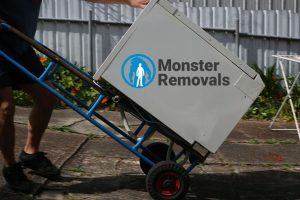 One of the things that come to one’s mind when visualising their house removal is packing and moving all those heavy and large appliances, furniture and other items. You are not far from the truth because every household has such items that need to be moved. Even though it would be best to leave such bulky items to a professional moving company, not only because they have experience and knowledge in this field but also for insurance, you will have to do it by yourself if you have a tight budget. Plus, such businesses usually offer many additional services, like secure furniture assembly in London or skilled and trained helpers for hire, which can make the whole relocation process much easier, faster and safer for you. Nevertheless, if you cannot afford hiring professionals, here are some tips and tricks how to prepare and pack bulky household items for removal, and how to actually move them on your own, with help of few friends, of course. Additionally, if you want to handle and move your belongings quickly, safely efficiently, you will need moving equipment. Ensure to acquire a dolly, sliders, ramp, tools, etc. Protecting your floors, doorways, stairs, walls and floors from chips, scratches and other damages is necessary. Some people overlook this step and realise that they should have paid attention to it only after the damage is done. In order to avoid this, use floor protectors or furniture blankets to protect your property. If you want to save money, you can use old T-shirts, towels and other clothing for protection. Since most kitchen appliances are heavy, including refrigerators, freezers, washing machines, and other, ask for help when moving them because it is almost impossible to move them by yourself. First, empty the appliances and take out any removable parts and pack them into bubble wrap. Then, secure the doors using a tape and wrapping but make sure you do not place the tape directly onto the surface of appliances. After you unplug the appliance, you can pack it using furniture blankets and bubble wrap. You can proceed with moving it by lifting one side of the appliance and sliding a dolly underneath it. Finally, secure it with rope and carefully load it into the truck, ensuring it stands upright. After you remove the bedding, you need to protect your mattress from dirt, moisture and other possible damage. You can use special mattress bags but if you need a more affordable solution, you can use a thick plastic. After you wrap the plastic around it and tape it, use two thick ropes – one for wrapping around the length of the mattress and other for circling around the mattress width. The ropes are a useful type of moving equipment when placing the mattress on top of your car and securing it.